I am seated by the hearth, listening to the movement of fireplace air, hearing a crackling every now and then. I just got in after an hour or so of snow shoveling, yes, snow shoveling. Ironic that a man who has a son with a snow plowing business does shoveling, but I am a dinosaur. I pride myself, in most areas, of not being backward thinking, but frankly I don’t think I am in the area of snow removal. I had planned to go to the gym today but will not since I have had my hour or so outside. I got a nice workout. My son’s business had plowed us out in the front of our gate (which seals up the back yard). Unfortunately, the massive Deerfield snowplows had made a huge mess of the driveway near the street and it had to be attended to. I hate snow blowers with a passion and hate even more the gasoline smell that often accompanies their usage. Their polluting qualities are also bothersome. In my yard, I avoid gasoline operated implements as much as possible. I am getting frighteningly close to my seventies and my plan is to go down kicking and screaming. I don’t want to be relegated to canes, walkers, and wheelchairs, if they can be avoided by anything I do physically to ward them off. My mother always said, “Exercise is for the young.” I heartily disagree with that statement. Exercise is easier for the young, that is the difference. Tony Morrison is far from my favorite writer, although I truly respect her craft. Her writing style is not one that appeals to me. Her quote, however, sums it up so well. Water, like fire, is quite the potent element and able to keep things alive as well as kill. Take a roof and one finds that it is almost impossible to keep water from coming inside. Add climate into the mix and you have water that expands when it freezes and searches for places where it can penetrate and freeze, little by little, and work its way in. Shoveling snow by hand is like being active water, you have to find the path of least resistance to remove the snow and put it elsewhere. When I shovel, I have to have a plan in my head for snow placement. 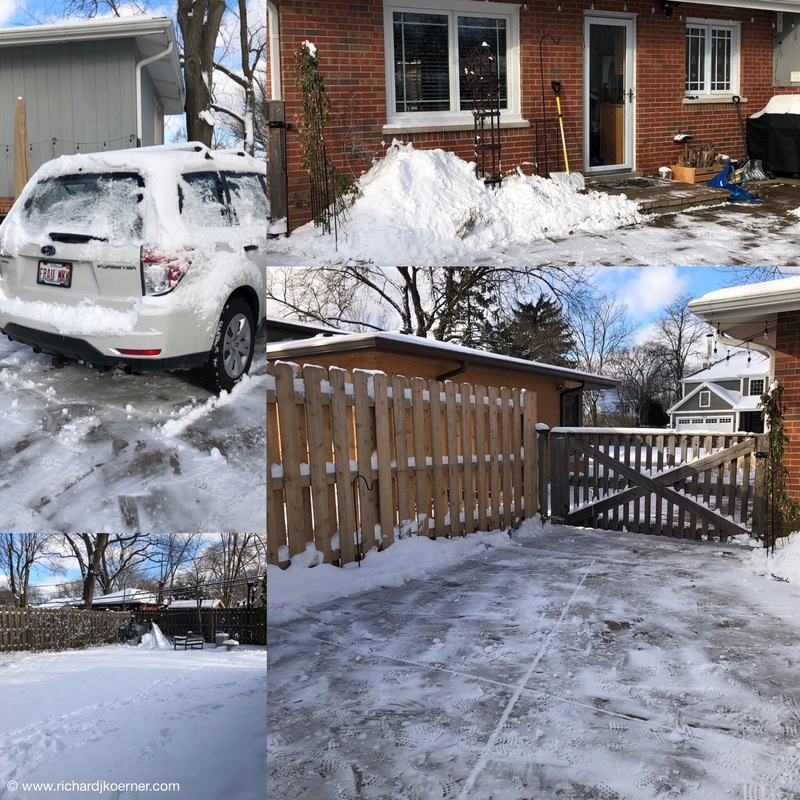 In my life, I have often had situations that require me to pick up a load of snow and walk it ten, fifteen, or even twenty feet from where I got it and unload it, like a human dump loader. I find the best place to unload it and the best place to start. Not only is it exercise, it actually requires the mind. I am a stubborn guy in some ways. I know there will be a day when I cannot do this, but for now, shoveling is still my thing. It is hard to break some habits. This entry was posted in Life in general, Snow and snow removal, Thoughts and philosophy. Bookmark the permalink.